THIS is how Jarrod Goldsmith promotes and supports small business in Ottawa! 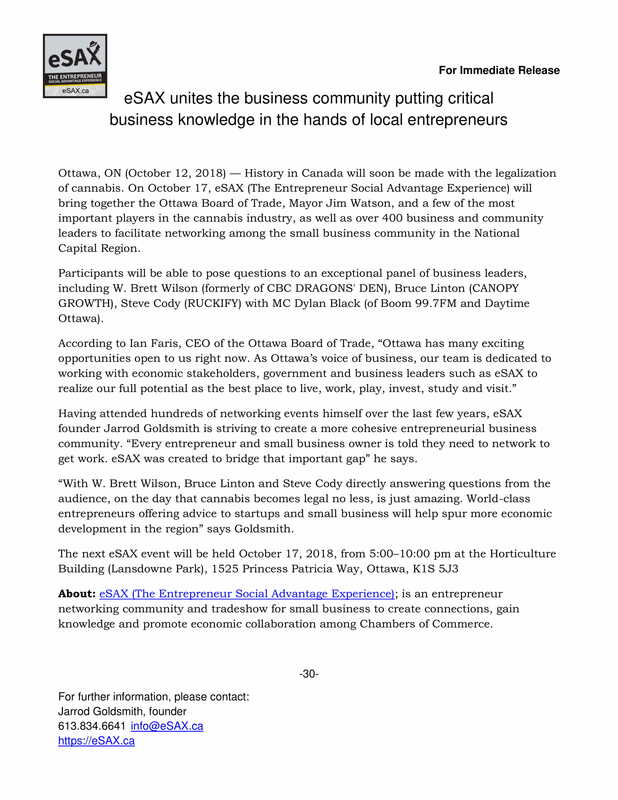 eSAX (The Entrepreneur Social Advantage Experience); is an entrepreneur networking community and tradeshow for small business promoting regional economic collaboration among Chambers of Commerce. 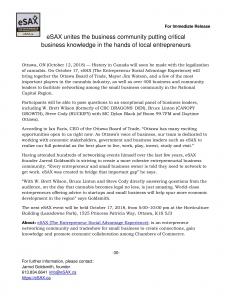 The event on October 17, 2018 isfeaturing W. Brett Wilson (previously of CBC DRAGONS’ DEN), Bruce Linton (Canopy Growth), Steve Cody (Ruckify), Ottawa Mayor Jim Watson, the Ottawa Board of Trade and MC Dylan Black (of boom 99.7 FM and Daytime Ottawa). Plus we are hosting a Peter Stewart Memorial award. Here is a short promo video and overview to give you an idea on what to expect! Plus, here’s the epic #MannequinChallenge video that will also show you the overall lay-out of eSAX.